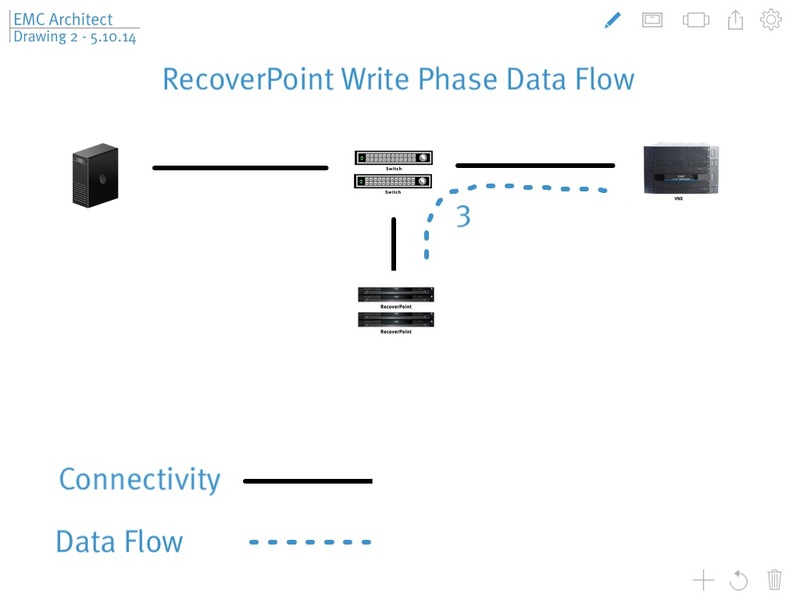 This will be the first blog of many about EMC RecoverPoint. I will be going through the ins and outs in an effort to explain how it works and show you how RecoverPoint “Changed the Game” when it comes to Disaster Recovery. 1. The production host writes data to the production volumes which is intercepted by the splitter. 2. The splitter sends the write data to the RPA. 3. As soon as the write data has been received, the local RPA returns an acknowledgement to the splitter. The splitter then writes the data to the storage volume. 4. The storage system returns an acknowledgement to the splitter once it has successfully completed writing the data to storage. The splitter sends an acknowledgement to the host that the write has been completed successfully. This can be repeated multiple times, and in parallel, for multiple writes.